More information on any internship can be obtained by visiting or calling Career Services at (570) 321-4034. What is the difference between an internship, a practicum, and job shadowing? When can students do internships? What is the value of an internship? Can I receive pay and credit for an internship? Where may an internship be done? Can I take an internship in a department different from my major? Who supervises the internship and how is it graded? What are the work requirements for an internship? Who must approve an internship? Q: What is the difference between an internship, a practicum and job shadowing? A: An internship is a course jointly sponsored by the College and a public or private agency in which a student is able to earn college credit by participating in some active capacity as an assistant, aide, or apprentice. For a one-unit 4-semester hour internship, at least 10 hours per week must be spent in agency duties. A practicum is an off-campus experience designed to develop practical application of classroom theory. In addition to classroom time, a practicum requires 10-12 hours of work per week in a business, agency, or organization. Job shadowing is a career exploration activity which carries no academic credit. Students participate in a job shadowing experience to make more informed career decisions by gaining early exposure to careers, industries, and the networking experience. A: Any junior or senior student in good academic standing may petition the Committee on Individual Studies for approval to serve as an intern. Internships can be taken during any class semester, including May term and summer sessions. Internships can be arranged in any geographic area. A: From a career standpoint, internships are invaluable. Internships provide students with something employers desperately seek - experience in the field. Many employers use internships as pre-hiring assessment and training, very often hiring directly from their internship pool. Internships also provide students with contacts and networks that may assist them in their job search. 2. to facilitate the integration of theory and practice by encouraging students to relate their on-campus academic experiences more directly to society in general and to possible career and other post-baccalaureate objectives in particular. Q: Can I receive pay and credit for an internship? A: Yes. Most Lycoming College internships are paid internships. Additionally, internships can earn up to 16 academic credits (credits earned depend on the number of hours involved and academic assignments required). Please Note: Credits earned from an internship are subject to the same fees as any academic credit earned at Lycoming. A: The first step is to discuss your interest in an internship with your Academic Advisor. He/she can provide you with valuable information regarding the sponsoring agency and internship experience that would most benefit you. Advisors can assist you in locating an internship sponsor, but it is ultimately your responsibility to find and secure a sponsor. The Institute for Management studies normally assists business, marketing, finance and accounting students with internships. The Career Services Office can assist any student, regardless of their major, in locating an internship sponsor. After a sponsor is located the Academic Advisor will work with the student to develop the guidelines for the internship program. Finally, the student must petition the Committee on Individual Studies for approval to serve as an intern. The process can take up to 6 months, so start early. Q: Where may an internship be done? A: Internships may be done in any setting that provides supervised experience in areas related to the student's learning objectives. Examples of recent internship sites include business and law offices, correctional and social service agencies, and congressional and other governmental offices. A: Yes, if internships are available in that department or agency, and if you have academic preparation for the work you will be doing in the agency. Application forms must be signed by a faculty member for the department from which you will receive credit. Q: Who supervises the internship and how is it graded? A: Internships have both an academic and an applied component. The Agency Supervisor evaluates the applied component based on the outline provided in the Application. The Faculty Advisor for the internship evaluates the academic component based on the outline of academic requirements stated in the Application, and the Faculty Advisor then determines the final grade. A: Minimum work requirements are outlined on the application form. 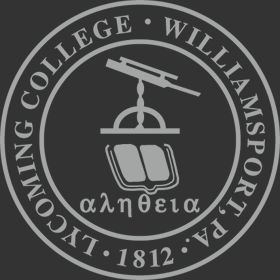 All interns are expected to function on the job as professionals - interns represent Lycoming College at work in the community and performance on the job directly influences the attitudes the community will have of the College, its students and its graduates. Q: Who must approve an internship? A: The internship must be approved by a Faculty Supervisor, the Department Chair, an Agency Supervisor, and the Individual Studies Committee. Deadlines for submitting applications are posted in the Registrar's Office.